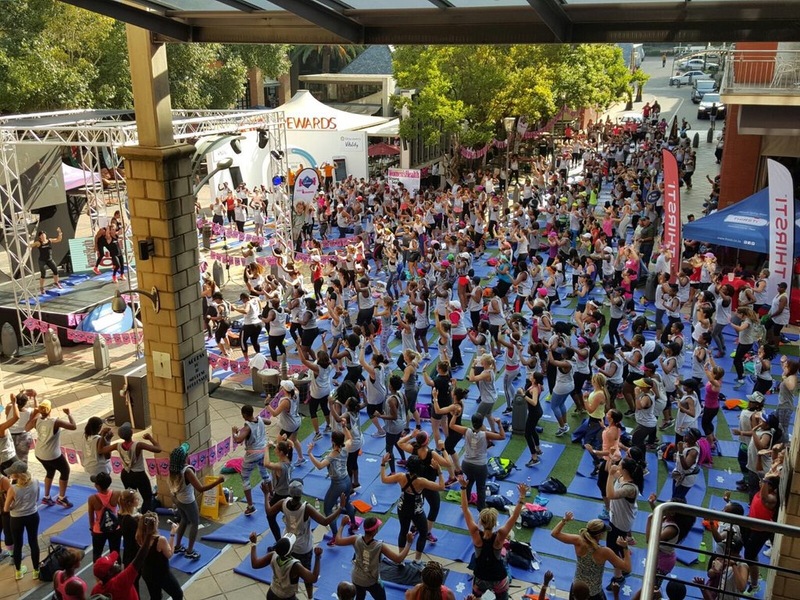 On Saturday 6 February, about 1200 women got together for the love of fitness. 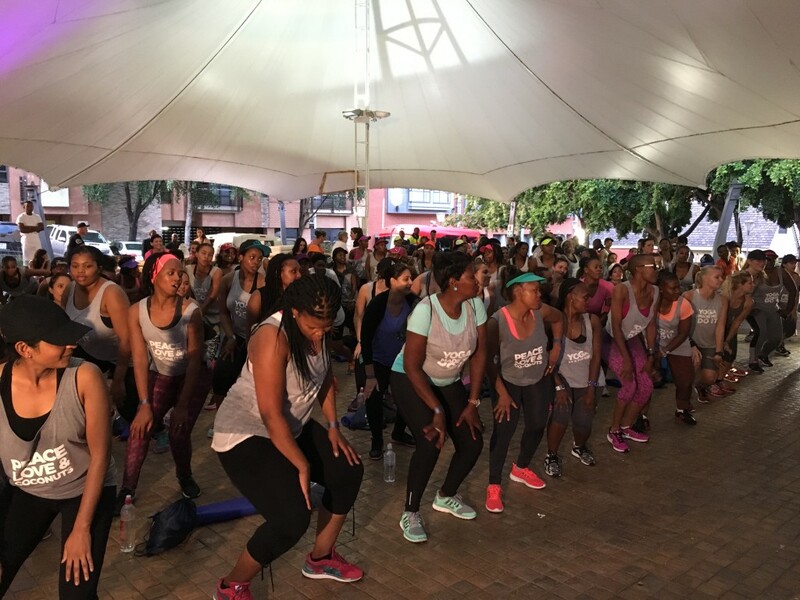 Women’s Health hosted their first ‘Fit Night Out’ at Melrose Arch in Johannesburg. While the rain tried to put a dampen on things, it didn’t stop the fun for long. 1. It was a celebration of all things health and fitness – with not one but four kinds of workouts and several health and fitness related stalls. 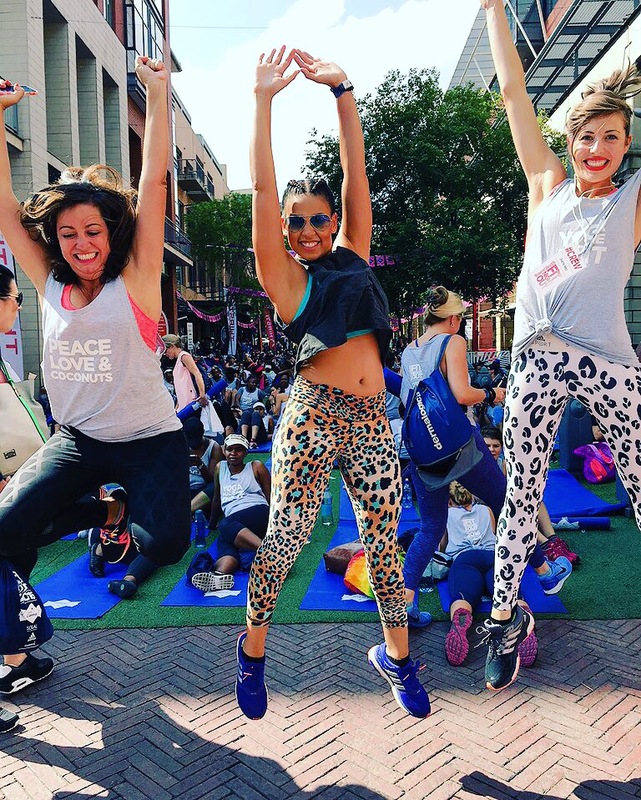 The classes were, a SWEAT1000 inspired class (without the treadmills), a Adventure BootCamp class, a yoga and dance sessions too. 2. The energy training en mass like that was fitspiration personified. There is something to be said for training and sweating with 1199 other ladies. 3. The goodie bags were pretty good, with water, a cute vest, towel, yoga mat and other treats. 4. The stalls were a good balance between fitness product showcasing and delicious healthy products too. Our personal favourite was the ‘Caralicious Coconut ice-cream’ and the Body20 stand. 5. Not even the rain could stop this girls’ night. The dance class turned into a dance party and was so much fun, without the sore feet because instead of heels, we were all wearing our comfy sneakers. Our only critique would be that the event could probably have been better on a massive sports field, as the event elements seemed very fragmented. However for this time of year in Johannesburg, it would have been probably wiser to have it in doors as there will almost always be a thunder storm in the afternoon/early evening during summer time.